If Jon Bon Jovi and Richard Marx had a baby, it might be named John Taglieri. True Believer’s greatest strength is that it is the perfect soundtrack to the next Race Through The Desert Buddy Movie starring the guys from Supernatural. 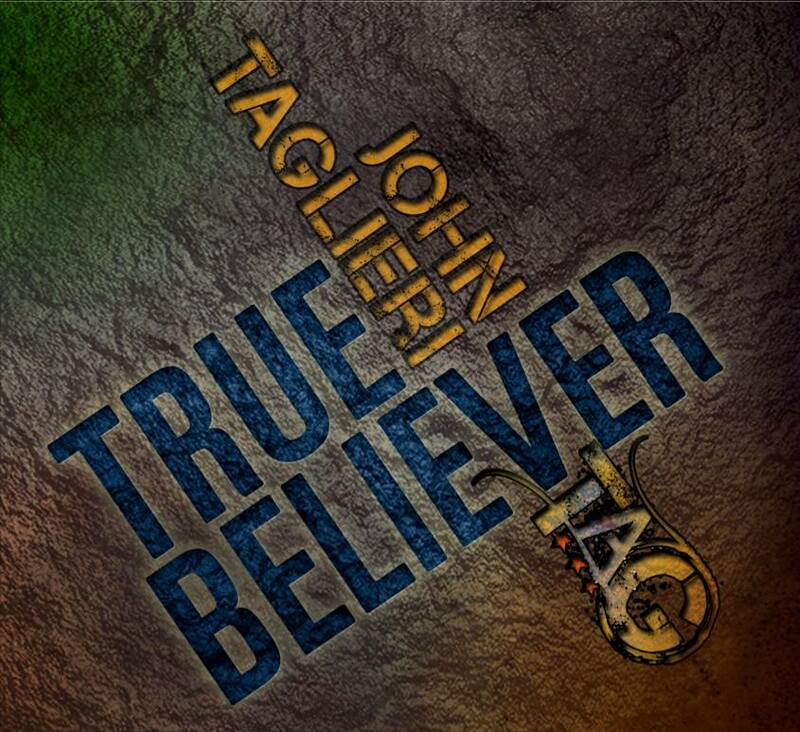 But, much like many of those movies, John Taglieri’s new EP also falls a bit short of its potential. The classic, almost southern rock styles are lessened by Taglieri’s rather thin vocals and lyrics that sound more pop than rock. None of this takes away from the strength of the music. The guitar lines are solid, kick them-while-they’re-down rock with songs like Don’t Ask Why wandering into the harder side of the rock highway. He has a skill with vocals that many artists do not – being able to kick the speed of the lyrics up to almost 11 while still maintaining coherence in the song structure. Songs such as the title track are catchy while still holding true to the power of the guitar rock and Way Out feels like it fell out of a modern Bon Jovi album liner. If Tagleri can strengthen the lower range of his vocals, he has a chance to really take his career to the next level. But the tenor he brings in contrast to the hard guitar of the songs makes him feel more coffee shop than main stage and for an artist 14 releases in, it feels like there is something missing in this release.